Is it possible to be consistently happy if everything you ever wanted …BECAME EVERYDAY? We are a brand new TV show, where a group of 10 people are transported to a luxurious villa situated on a sun-drenched Island. Against this idyllic backdrop they will compete against each other for the chance to win the show’s ultimate prize. The winner will get the chance to enjoy a potentially life changing experience using the all access, Perfect World Black Card,loaded with a six figure sum and attached to the World’s best concierge service. Everybody’s Perfect World is Different. What’s yours? My perfect world would be a full year of time spent with my family, all bills paid for, and a couple of luxury holidays thrown in for good measure! A trip around the world in style, then a remote country house with a massive fireplace to come home to. Driving the ultimate road trip adventure, spanning across the whole world. To live in the South of France in a beautiful country house with an organic vineyard. Have lots of animals and an artist’s studio to draw/paint til my heart’s content. Living on Ngapali Beach in Burma, in my own luxury air conditioned house, overlooking the Bay of Bengal. Taking a big group of friends for a holiday to Madrid including a friendly match against Real Madrid inside the Bernabeu. My perfect world would be like a Disney Movie; where we constantly break out into song and dance. A world tour type thing (for a year would be amazing), taking in the culture of different countries around the world and swimming the great barrier reef. In the perfect world I would spend six months of the year abroad in a fabulous holiday home inviting my family and friends to share a little bit of luxury away from day to day life! On a farm in the middle of nowhere with some dogs and lots of food and my family and friends around me. And some good (expensive) champagne. To travel around Japan and work in the movie business producing and making blockbuster films. Living in a log cabin in the Rockies with easy access to the piste and a hot tub! “Relaxing on a super yacht with friends and family in Rio De Janeiro marina before going to the Rio Carnival and plenty of tequilas! Not quite a year of activity…. But going to Snowbombing would be part of my perfect year! My perfect world would consist of starting off the year travelling around North and South America. Then I would spend the summer going to all of the major music festivals, which would then be topped with a trip to Ibiza sipping cocktails. To have no responsibilities. Every waking moment is “what do I do next, who am I looking after, who needs me, what happening at work”. So I would love to be young again, get away to nice hotels and be pampered! My perfect world would be living in New York or London in a perfect villa with my pet cheetah after I had just done a show with a big star(Jessie J or Rihanna) since I am a singer. My perfect world would be a nice house with all the mod-cons and some future ones too. A nice car each for my wife and I. Enough money in the bank to live comfortably on and some set aside for my kids’ education. A holiday or two to some beautiful destination wouldn’t go amiss either. A huge house with two nice cars and a walk in closet filled with shoes and nice clothes then checking my bank account just to double make sure it’s still 6 digits. An action packed epic nature adventure from swimming with whales in Tonga to cuddling an orangutan in Asia. My perfect world is having family living close enough to see often and enough disposable income to travel to every corner of our Earth. The ability to what you want when you want. To physically give the shirt off of your back to someone in need and not think twice. A good lounger in the sun with a decent red wine to sip. A life full of adrenaline, excitement, money and being able to get back. To be challanged everyday in new and excitement ways. Be able to perform on stage in front of millions of people. To be successful and have the money behind me to have businesses all over the world. To be able to shop anywhere, eat and drink amazing food anywhere, have a private jet to take me anywhere and live on a private island all to myself! What is your perfect world? Please add your name & age to your submission. “I’ve been put on this planet to give people laughter and happiness which I aim to do with everyone I meet whilst making sure I better the lives of my immediate family”. Applications have now closed. 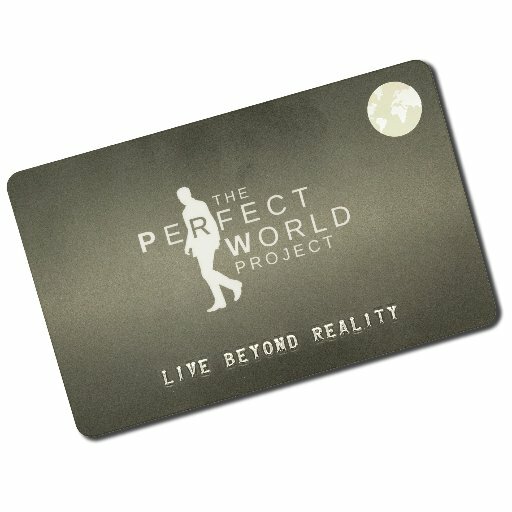 Thank you for your interest in The Perfect World Project. We will keep you informed of the show’s progress and when applications re open for the next series. Applicants must be aged between 18 and 60 and be of good health. Applicants must hold UK residency. Applicants must hold a valid passport. Applicants must have no restrictions on international travel. Applicants, if successful, must be able to spend at least 3 weeks abroad in 2016. The initial short listed 100 applicants will be invited to attend the pre-production (filmed) auditions in which the final short list process will be announced. Short listed applicants unable to attend may not be progressed. Applicants who are not available for a first round audition may still be considered at the sole discretion of the Producer. Any applications not received in time for this series may be considered for next series or as reserves. We cannot guarantee that all applicants will receive a response to their application. Additional qualifying conditions may be added at the sole discretion of the producer. The winner of the Perfect World Project will gain possession of the coveted Perfect World Project Concierge Card. Preloaded with a six figure sum and attached to the world's premier concierge service, the card will enable the holder to live the life of their wildest dreams. Go anywhere, do anything, the only limit is imagination. Over the course of this odyssey into opulence the winner will be followed by a TV camera crew recording them living their Perfect World. Will being able to do everything they ever wanted bring true happiness to the winner?